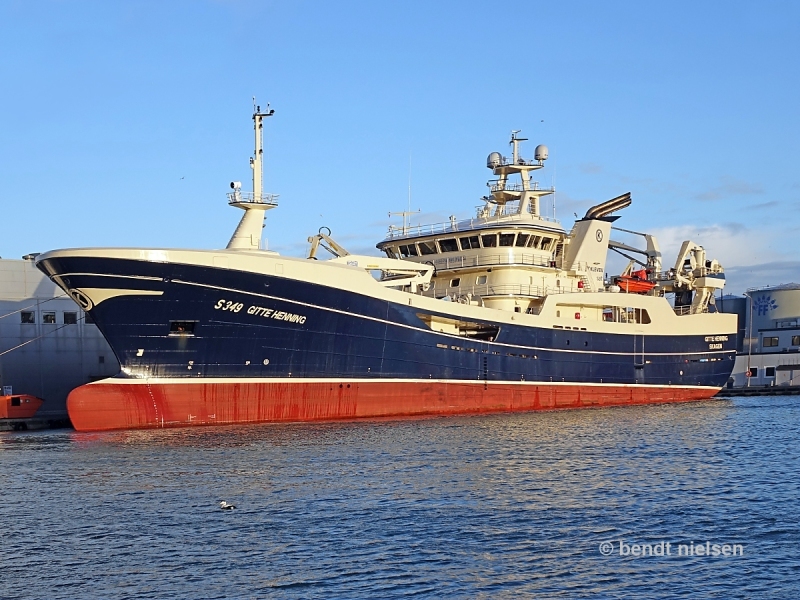 GITTE HENNING newly built at Kleven Shipyard Ltd / Norway as yard no. 394 and delivered in 2018 is seen here in Skagen Harbor / Denmark, which is also the home port. The hull is built on Crist Shipyard in Poland. Thank you so much for your fine comments. Hello Bendt.Great shot.She carries a famous name! Best wishes to you my friend.Cheers,Volker.